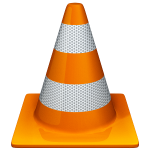 Videolan developers finally got rid of all the blocking bugs and released the newest installment of the massively popular Open Source all-purpose media player VLC. Initially meant to become version 1.2.0, the decision was made some months ago to change the version to 2.0.0 because of the many differences to the previous release series 1.1.x. Get over to the VideoLAN web site and read trough the announcement. Also check out the list of new features and enhancements on that page! For users of my Slackware packages, this news is not changing much. If you have been using my “vlcgit” package, you will have experienced a lot already of vlc 2.0.0. I have been building GIT snapshots for quite a while. Just be aware that with the official release of 2.0.0, my “vlcgit” package has become obsolete. I have removed it from my repository. Perhaps when I start building snapshots of a new release cycle (2.1 ?) you will see the vlcgit package return. Enough said – you should get the freshly compiled VLC packages for Slackware now. They are available for Slackware 13.37 (on which I compiled them) but will work on Slackware-current too of course. The usual caveat applies: versions that can not only DEcode but also ENcode mp3 and aac audio can be found in my alternative repository where I keep the packages containing code that might violate stupid US software patents. There are other mirrors too of my SlackBuild package repositories – if you cannot find them, give me a yell..
Posted: 18 February, 2012 in Slackware, Software. P.S. Anyone having a volume control issue? I can only control vlc’s volume from vlc. kmix and alsamixer have no effect on vlc’s volume. I’ve tried the default and alsa setting for output module. I’ve tried switching the audio device. version of vlc (1.1.9) I had installed. Does any one experience problems with the phonon-vlc backend? When using said backend, amarok crashes after updating vlc. Rebuilding phonon-vlc prevents this, but then I get no sound. Building the most recent phonon-vlc from git gives the same result. after a short period of time during which it seemed phonon-vlc was going to be the best solution, now phonon-gstreamer is being the highest standard for KDE’s audio backend. btw, I guess we shall upgradepkg vlc-mozplugin%npapi-vlc ? I could not figure out the volume problem (changing volume in vlc has no effect on any volume level in alsamixer) so I went back to an older version. 1.1.9, 1.1.11, and 1.1.12 work fine. The only difference I noted between them was in the list of alsa output modules. Audio works if I select any of the output modules with “default” in their name but I cannot control the volume level from anywhere except vlc. Ooops sorry. My bad. I think the location of freetype.c changed in vlc 2.0 (used to be in modules/misc/ directory) so i foolishly assumed your 2011 patch didnt apply now, just like mine didnt but its applied in the SlackBuild. Thanks for the reply. about two lines after ‘make install-exec-hook’? It does not crash here when I compile. Do you have an older version of vlc installed? Try removing that and then start the compilation again. make: Nothing to be done for install-data-am’. No segfault to be seen. Vanilla Slackware 13.37 32-bit. Hi Eric! Is it possible to make vlc package without xulrunner at all? I don’t plan to use mozilla plugin. Thanks! … which show it all. If you run it that way, zulrunner will not be built or needed at all. Hi Eric! Thank you for the quick reply! Sorry for my second stupid question. If I will compile vlc with statically linked libraries ( e.g. ffmpeg) will other apps (e.g. qmmp) use these statically linked libraries or I must install second copy of ffmpeg with dinamicall links? Thanks! P.S. Sorry for my English. It is not my native language. Other apps will _not_ be able to use VLC’s internal statically linked ffmpeg libraries, dr-alex. That is why they are called “statically linked” – it is a private copy of the libraries. VLC2.0.3 is out, please update your PKG! I have uploaded new packages in the meantime.